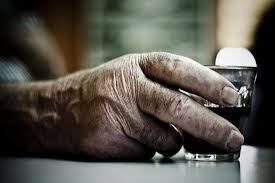 Alcoholic peripheral neuropathy is a nerve loss condition in the foot caused by the prolonged use of alcoholic beverages. Ethanol, the alcoholic component of these beverages, is toxic to nerve tissue. Over time, the nerves in the feet and hands can become damaged resulting in the same loss of sensation as that seen in diabetic peripheral neuropathy. The damage to these nerves is permanent. A person with this condition is at the same risk, and should take the same precautions as people with diabetic peripheral neuropathy. Another form of peripheral neuropathy is caused by exposure to toxins, such as pesticides and heavy metals, and is equally detrimental to health. People who have undergone chemotherapy can experience peripheral neuropathy as well. Treatment for alcoholic peripheral neuropathy may include Vitamin B-12 injections, certain oral medications to ease any burning pain, topical ointments, magnetic therapy, and galvanic stimulation (which is the therapeutic use of electric current, particularly for stimulation of nerves and muscle). Several recent studies have shown significant promise with oral Vitamin Complexes. Ask your Foot and Ankle Specialist if this Vitamin Complex may be right for the treatment for your neuropathy.